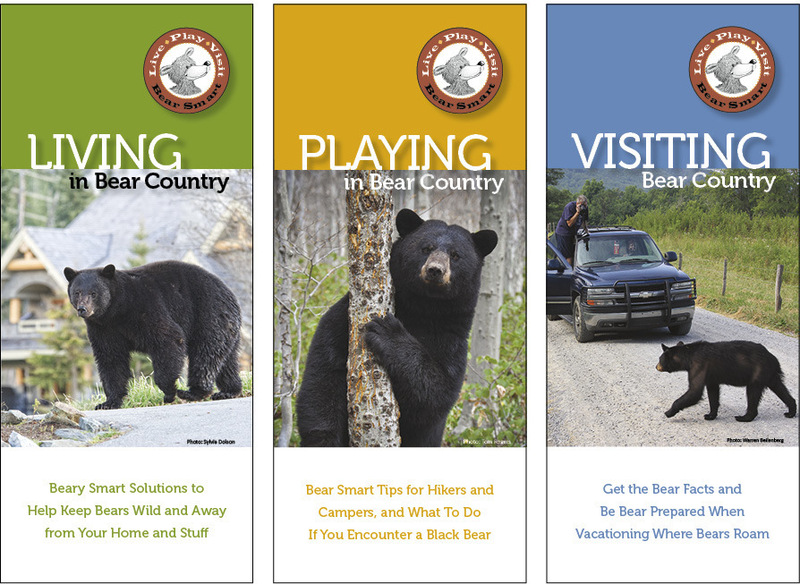 A set of three tri-fold pocket guides, each filled with handy tips and advice. 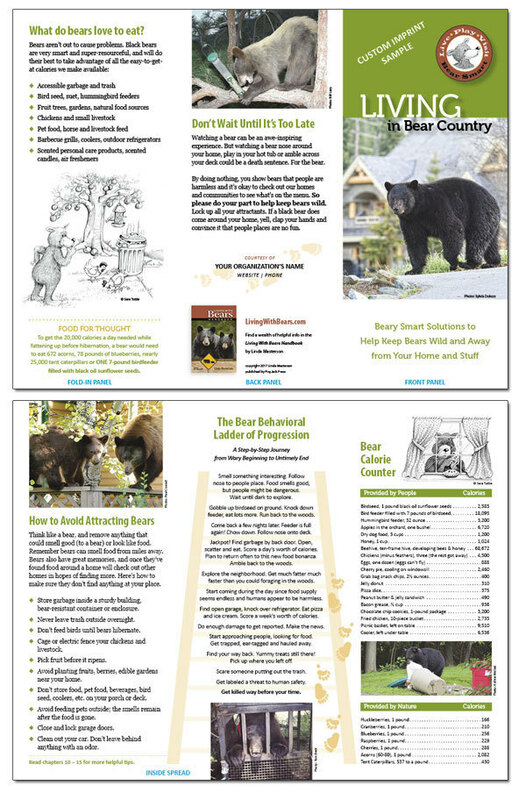 Living in Bear Country: Beary Smart Solutions to help keep bears wild and away from your home and stuff. 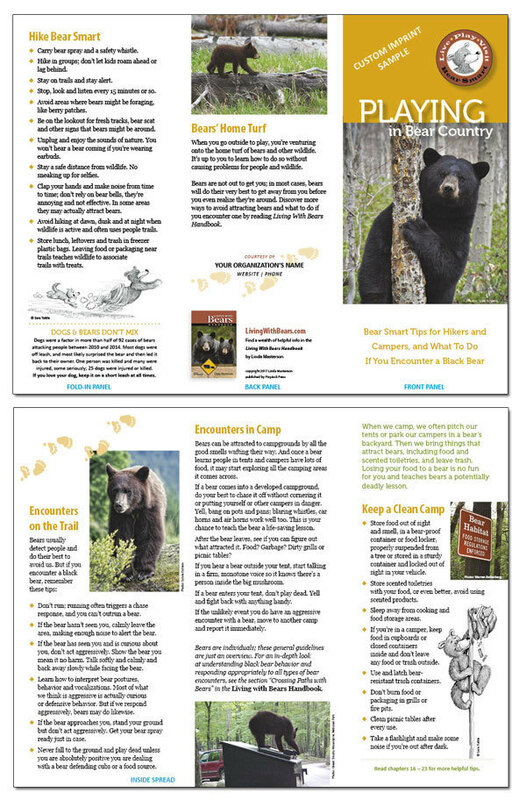 Playing in Bear Country: Bear smart tips for hikers and campers, and tells you what to do if you encounter a black bear. 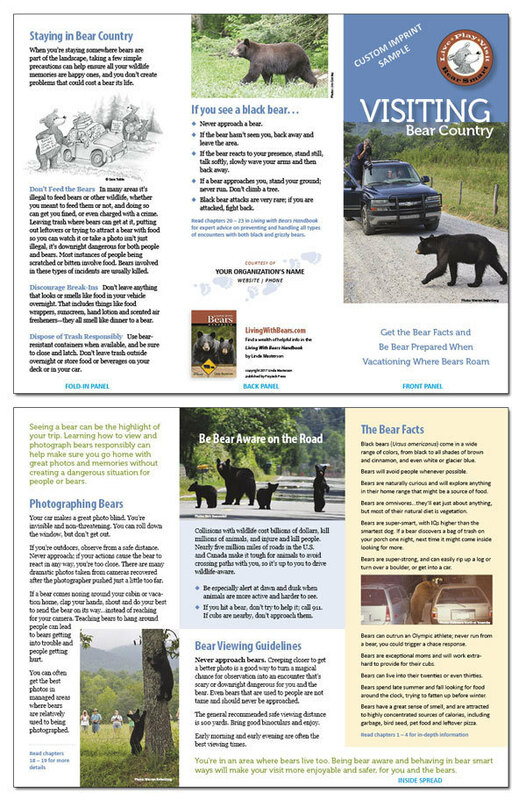 Visiting Bear Country: Get the bear facts and be bear prepared when vacationing where bears roam. Each 4x9 tri-fold is printed on heavy-duty paper, for long-lasting use. For organizations and groups who need a great educational and outreach tool, we offer a custom imprint option on 250 or more. Includes your organization's name, website and phone numbers. For orders over 1000, we offer additional discounts and will add your logo. Please ask for a quote.